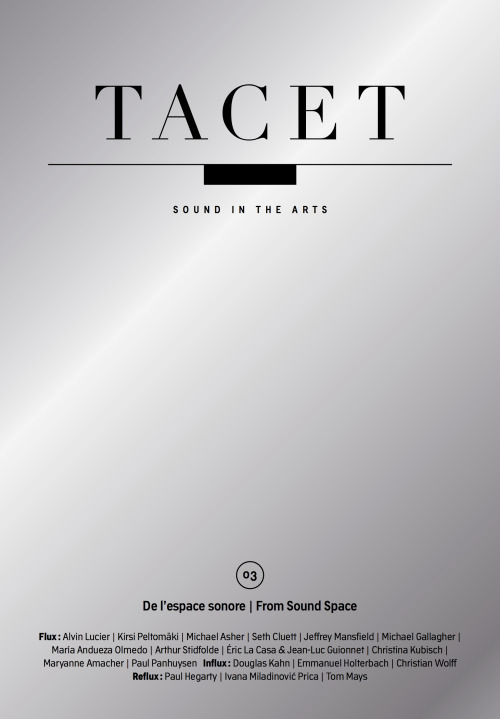 Tacet (subtitled Sound in the Arts) is a bilingual and annual publication documenting and researching sound arts and experimental music. 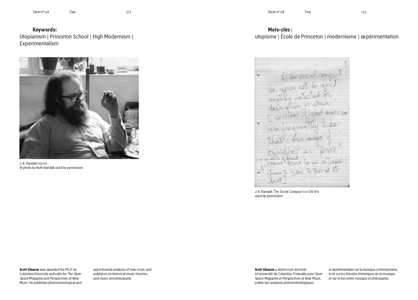 A critical compendium (under the auspices of Haute Ecole des Arts du Rhin) designed to create an interdisciplinary and international space of reflection for these practices, in all its aesthetic diversity. Mixing science-fiction short stories, theoretical analysis and artists’ writings, this issue addresses utopian and dystopian futures of our sound cultures, the experience of other places at work in the schizophonic listening of recording, social and aesthetic implications of the formal principle of closure that characterizes utopia, the critical positions of some experimental musicians in their relationships to the soundscape and musical cultures, and furthermore the role of technology in the imagination of sounds of utopia. 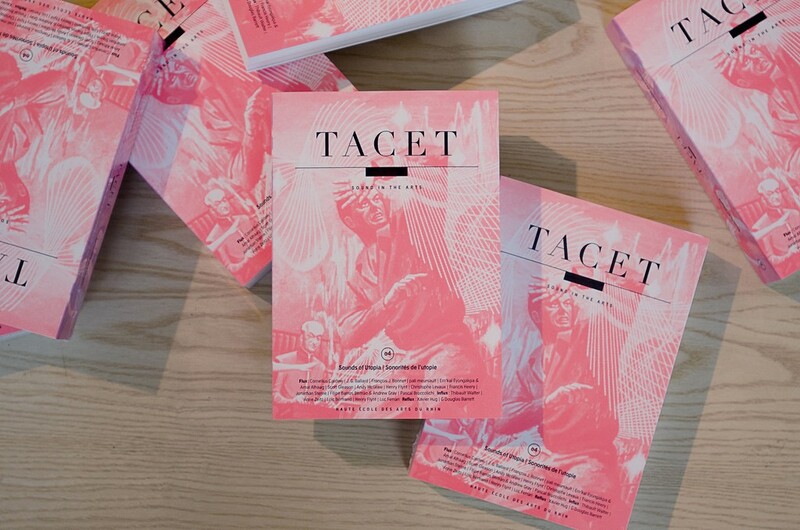 Issue edited by Matthieu Saladin, with texts by Cornelius Cardew, J. G. Ballard, François J. Bonnet, pali meursault, Em’kal Eyongakpa & Amal Alhaag, Scott Gleason, Andy McGraw, Henry Flynt, Christophe Levaux, Francis Heery, Jonathan Sterne, Filipe Barros Beltrao & Andrew Gray, Pascal Broccolichi, Thibault Walter, Anne Zeitz, Loïc Bertrand, Luc Ferrari, Xavier Hug, G Douglas Barrett. Tags: Magazines, Music Theory, Science Fiction, Sonology, Sound Art. 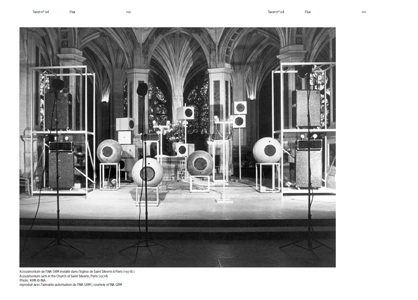 Tags: Environment, Magazines, Music Theory, Sonology, Sound, Sound Art.